It’s Culture day, so everyone dressed in the traditional outfits of their home countries. 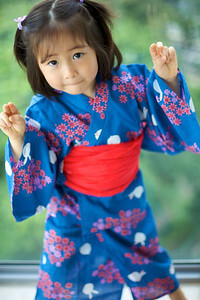 This year, Phoebe chose to wear her Japanese ukata. But next year, she decided to wear something representing the USA. We wonder what that will be? See Phoebe and all her friends enjoying a truly international day at CIS. I’ve also posted some older photos at Singapore Zoo, and the Christmas party at our residence. I think that she spends a happy school life. I decided to come to Singapore in March. I’m looking forward to seeing you and your family.